To fully experience the captivating, indie-pop music of Phebe Starr, you have to understand the volume of her voice and velocity of her will. Because before she could even try to become a musician, she had to break through a sound barrier of sorts. Starr beamed herself into civilization from the middle of nowhere, Dorrigo, Australia (population: 1000). She grew up with little money, no Internet, and was isolated on a farm. And yet, she says, “From an early age, I thought about creating. I had this instinct: to believe in the impossible.” She laughs. “Is that cliché?” Starr’s sonic, story-telling foundations included her eccentric mom’s feminist-rock catalog (everything from Joni to Janis) and her dad’s outlaw-country records (notably, Johnny Cash). She taught herself both piano and guitar by ear and spent hours experimenting with technology. ‘I would cut up cassettes and record improvisations over them. It was just me, creating.” “Growing up, everyone tried to tell me how impractical and idealistic I was,” Starr says. In reality, nothing about Starr is trite. Her first stride towards global recognition came three years ago, when with absolutely no web presence, she dropped Zero, her debut EP. On the strength her stunning, echoing elegy “Alone With You, everyone from Vogue to Perez Hilton did the social-networking for her, earning synchs on TV shows, movies and even a Samsung commercial.This surprise success galvanized Starr even more. “It was a beautiful accident that affirmed in me that art has value,” she enthuses. Most recently her new single “Feel My Love” gained the attention with American audiences and was named one of Glamour Magazines “14 Badass women of SXSW”. 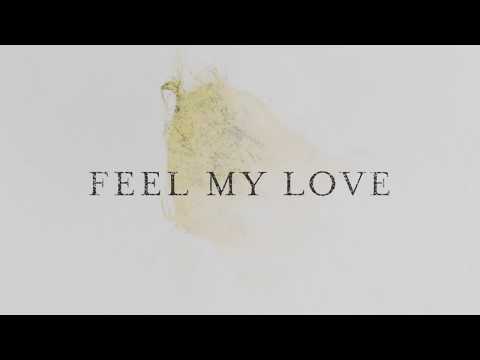 “Feel My Love” has garnered over 2.5 million plays on Spotify and won First place in International songwriting comp unsigned only AAA category. Chronicles her 2nd E.P is due out early 2017.